Small restaurant business today is somewhat making more money than that of huge restaurants do. They have many advantages over larger establishments. You will need less start-up capital, less staff and cost less in terms of utilities and establishments. So if you want to open up a small restaurant of your own, you are in the perfect place. The first thing that you need to take in consideration is location. Where you locate matters big time. 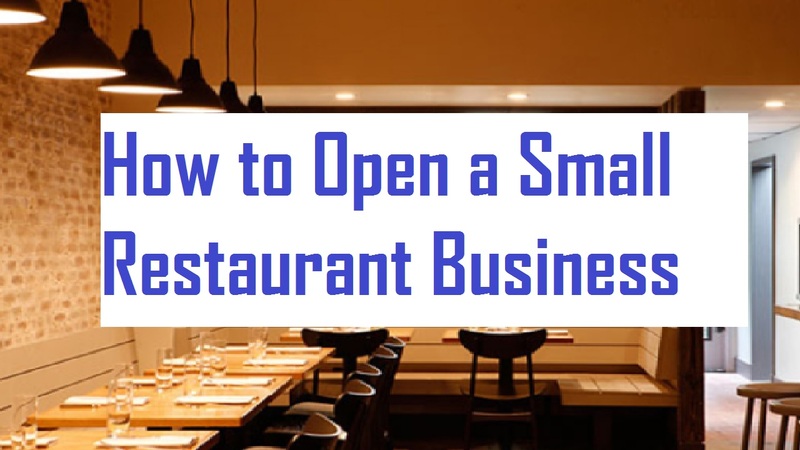 Since your restaurant is small it is not necessary that you need to open your restaurant with lots of foot traffic or in a busy area. You could open your restaurant where there is a bustling pedestrian in the heart of downtown. You will need a secured business plan to secure any kind of financing. It all comes down to your business plan before starting your restaurant. Plan it all out, starting from start-up budget, expected profits and losses, payroll and other operating expenses. You may encounter issues had not considered previously such as licensing, health codes tax law. Your business plan is your map to success. A business plan is very important to get success in Small Restaurant business. Plan out how you want your restaurant look. Since it is a small restaurant, the dining room is the heart of your restaurant. Your dining room’s design includes seating, wait stations, and storage. You can consider restaurants booths as a space saving option in your dining room. Remember it is very important to that there is a clear path in and out of the dining room for staff and customers. As long you are proving your customers a relaxing ambiance that they do not get in any big restaurants you are good to go to. Put up music systems, televisions and decorate the walls with decorative lights. Hire staff. In a small restaurant, you do not train staff. Hard working, dedicated people will do just fine. Remember to behave with your customers well. Train your staff a little so that they welcome and take care of the customer in the manner. You could also make t shirts that promote your restaurants and make your staff wear those t shirts or shirts. Promoting you restaurants is one of the big factors. You will want your restaurant to get noticed, right? You could put up ads in local newspapers or radio and think of ways to reach your customers through Facebook, Twitter, and Instagram. Open up a site of your own where you put up all the offers and pictures of restaurant your food item and etc. Small restaurants require less work but have lots of profit but key to success is hard work. For opening a restaurant let it be a small one or a big one if you do not give all of yourself you did not give at all. Stay focused, stay dedicated. Follow the steps that I have shared with you above and you almost done. Have patience, perseverance, the high threshold for stress and a good sense of humor.